I am trying to track down one of these (Olive drab) fragmentation vests. I was told that they were prototypes that were given to the PPCLI 3rd battalion to see how they hold up on operations when they were deployed to Afghanistan in 2002 most notably for operation Apollo. I have only seen one for sale on Ebay and never anywhere else. Just wondering if anyone has seen them before or know where I could get one your help is much appreciated. cheers! At first, I would recommend you introduce yourself first, as many of us are likely to open up freely with information on a cold posting. Secondly, I don't know where you will find one of these. 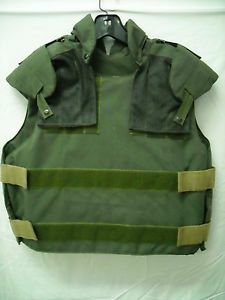 As a civilian in Afghanistan, I was issued this same style of vest. As far as I know, these are still used as the style and cut of material is the same as the current issue Arid and Temperate CADPAT vests. The panels have velcro closures to allow the kevlar liner to be removed and used in another vest. You will need to check the laws in your region to be sure you are legally allowed to own body armour. I'm sorry about that sir my name is Garrett from Waterloo Ontario I'm in the works of getting together three genuine Canadian forces kits for a private collection. The first kit is a WW2 dated 1944 officers uniform the second was a Canadian UN peacekeeper and the last one is 2002 operation apollo kit. I was told that this would be a good place to look for the vest Iv'e tried everywhere else and no luck. I apologize again for not properly introducing myself have a good day sir. A problem you are going to encounter while searching for this body armor is that officially it is considered a controlled item and therefore must be destroyed when it is no longer serviceable and is not to be released to the public. It is the same issue with trying to collect issue Cadpat uniform items. Oh dear I would have thought that it being OD green would have made it easier to get then the CADPAT ones I was offered a TW CADPAT FPV for $500 and turned it down fearing it would get me into trouble. I guess it was foolish of me to think that the pattern is what makes it a controlled item protective property's play a substantial role in this to. Maybe I can find an alternative Fragmentation vest but I wouldn't know what other vests Canadian Soldiers used in that theatre of war. Thanks a ton for letting me know. You might be surprised at what types of items are included on the controlled goods list. 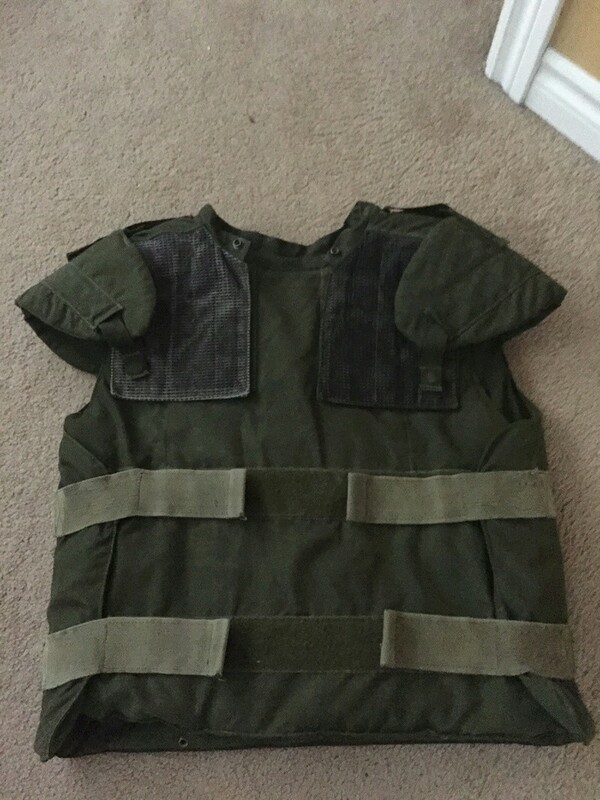 Some units such as the engineers wore the green load bearing vest first introduced for use in Bosnia. These have been sold as surplus and so they are available for purchase by civilians. This would essentially cover/hide the body armor so that may be an option. Looking to buy a correctly marked broad arrow C Commando/F-S knife. Would like a 1st pattern so marked (in my dreams) but a 2nd pattern or 3rd pattern would be acceptable. Condition must be VG or better. At long last finally found one!! where'd you get it I'm looking for one too? Keep your eyes open on Ebay!! Already seen two so far search under "Fragmentation Vest" or "Canadian army Vest" some might pop up, Best regards. I buy the same on Ebay .... probably from the same seller.